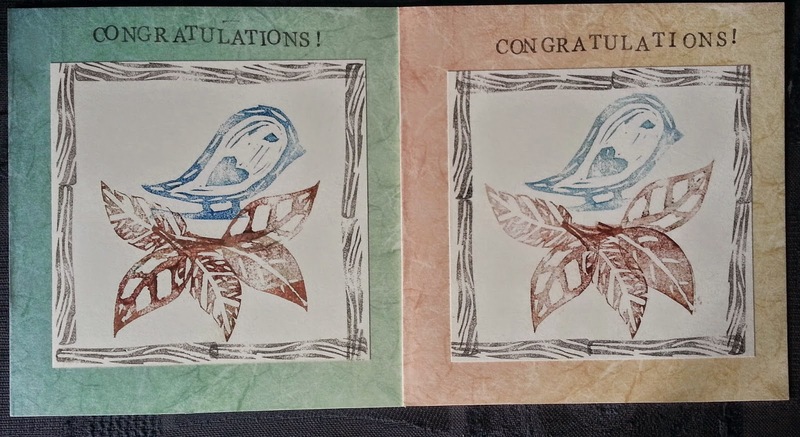 I'm very fortunate to know two new babies that have recently been born, and had a lot of fun today making these cards for them. I also discovered some new alphabet fonts that I have ordered and are on their way. Looking forward to have a play with them. I'll let you know when they turn up! Bags of Japanese knot bags! 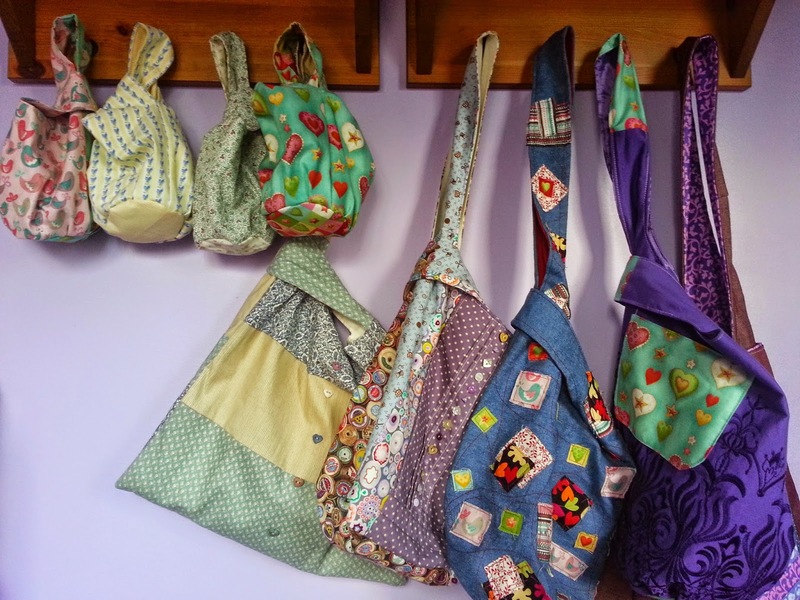 I've gone a little crazy in making more knot bags, 10 in all now! I think it's time to stop! But once you start I find I was thinking about how the next one could be slightly different, so I had to have another go. 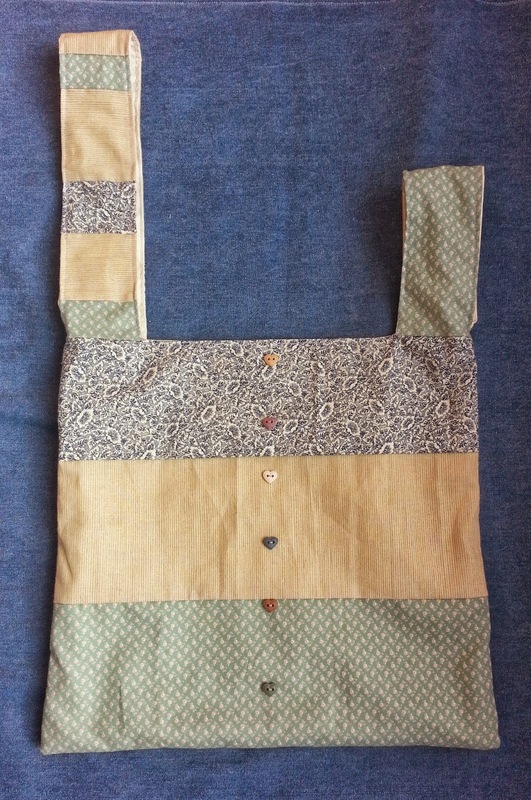 Then I found a pattern for a really cute smaller bag and I had to have a go! The reason I have made so many is that in January I offered via facebook to do a kind of pay-it-forward. The people who replied to my post would receive something from me at an undetermined time in the future. I wasn't sure what it would be when I offered but the bag gave me inspiration so I started making some. 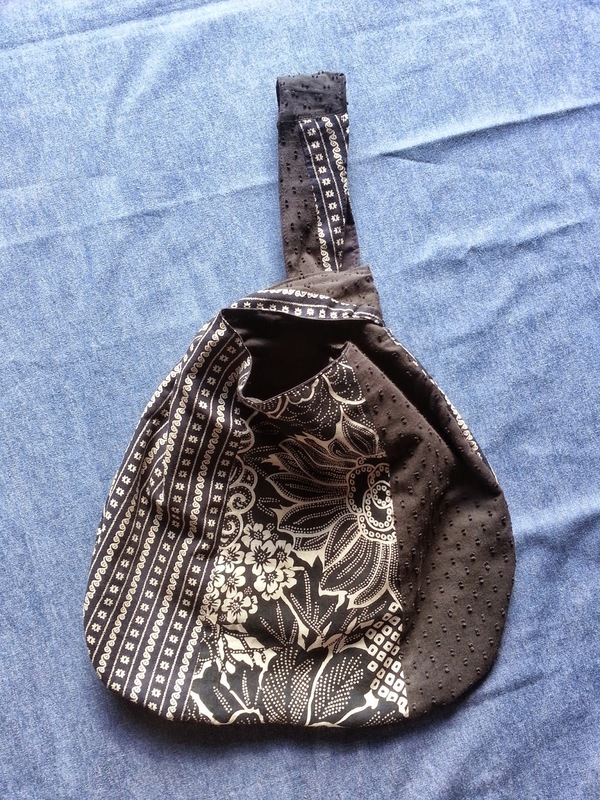 I also wanted a bag big and strong enough to transport my meditation stool and mat, so that's what the big bag is for. Here are 9 of them all together. Here's one I made for a friend and took the opportunity to give it to her while she was over from Switzerland. This is made from the fabric of a beloved skirt of mine that sadly hit the fabric pile when the zip broke and I had to cut myself out of it! 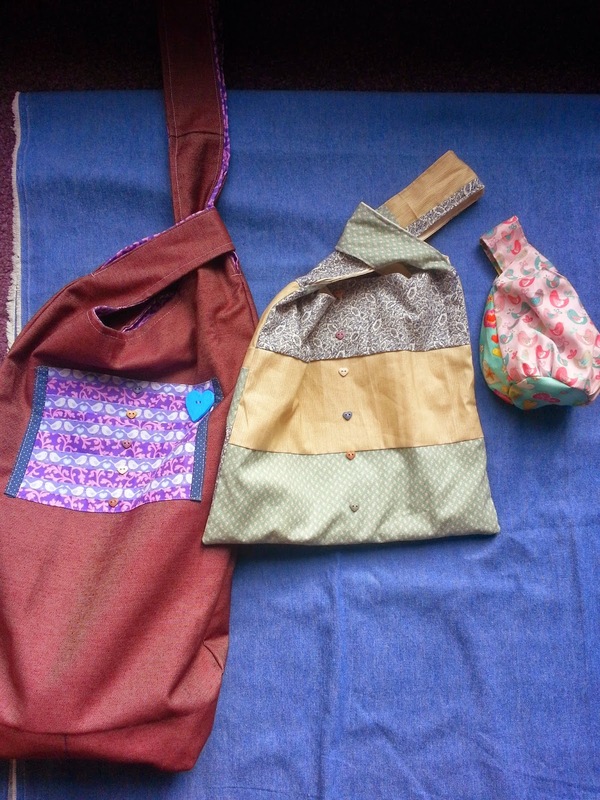 Daddy, mummy and baby bags. The same basic pattern with and without an inset base. 4 baby bags. These are cut from pieces 8 1/2" across and the base is 4" in diameter. 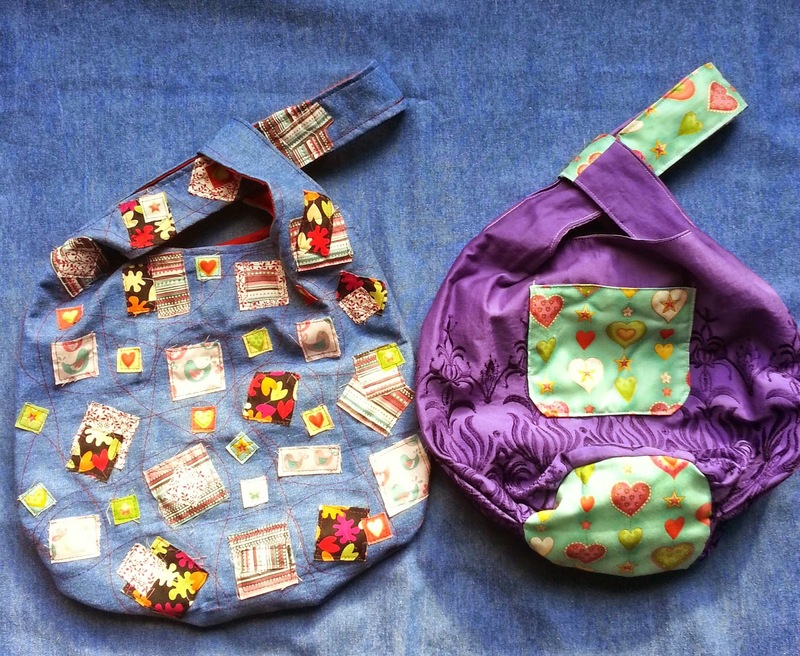 All of the bags are reversible. I think it's time to give the sewing machine a rest and do something different for a while!